The European Union's highest court has ruled that the "general and indiscriminate retention" of electronic communications by governments is illegal, in a direct challenge to the U.K.'s recently passed Investigatory Powers Act, the so-called "Snooper's Charter" (via The Guardian). The U.K. bill requires that internet service providers retain a record of all websites visited by citizens for 12 months at a time, but today's decision by the European Court of Justice (ECJ) in Luxembourg ruled that the collection of data in such a manner puts citizens under "constant surveillance" and enables governments to draw "very precise conclusions" about their private lives. The interference by national legislation that provides for the retention of traffic data and location data with that right must therefore be considered to be particularly serious. The fact that the data is retained without the users of electronic communications services being informed of the fact is likely to cause the persons concerned to feel that their private lives are the subject of constant surveillance. Consequently, only the objective of fighting serious crime is capable of justifying such interference. It's unclear at this point whether the ruling can be used to overturn the United Kingdom's surveillance laws. The U.K.'s Home Office has said it will appeal the ruling, which could eventually prove academic once the country has withdrawn from the E.U. 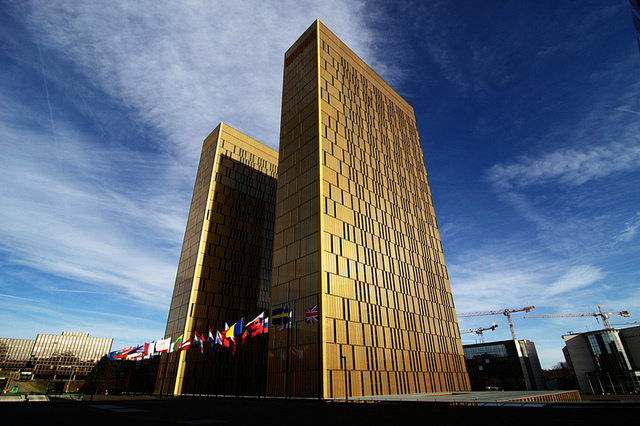 and the ECJ loses judicial authority over the U.K.
Martha Spurrier, director of the human rights group Liberty, said the ruling "upholds the rights of ordinary British people not to have their personal lives spied on without good reason or an independent warrant." The government must now make urgent changes to the Investigatory Powers Act to comply with this. This is the first serious post-referendum test for our government's commitment to protecting human rights and the rule of law. The UK may have voted to leave the EU – but we didn't vote to abandon our rights and freedoms." Apple has long opposed the U.K.'s Investigatory Powers bill, which originally required companies to build anti-encryption backdoors into their software, before an amendment to the wording meant that companies aren't required to do so when a government agency requests it, unless taking such an action "is technically feasible and not unduly expensive". The exact definition of those terms are set to be left to the decision-making of a British judge on a case-by-case basis. The people of England (outside of major cities) have spoken and decided we'd like to become a soviet style snooper state that banishes basic human rights. When will the remoaners give it a rest? Still don't think May even wants out and it will be a wishy washy exit not what we voted for but that will be the end of them. What did you vote for exactly? £350 million a week going to the NHS? Not having to pay any cash to the EU? A few less immigrants taking all the jobs that nobody wanted to do in the first place? All of that was complete bollox. Sometimes I f**king hate this stupid country and it's ridiculous government. I didn't vote for Brexit and I didn't vote for Theresa May...what part of this is democracy? One of the things that will get left behind after Brexit will be civil liberties. It's sad. Never mind, not long now and we can introduce it anyway once we've left the dictatorship EU. With all the terrorists being harboured in the UK this is a good idea. No one moans about being filmed several times a day by CCTV. So this is how it works, put some fear into peole and they'll throw away their rights at the blink of an eye. Again, not trying to get cliche here, but tens of thousands of people fought and died to protect those rights (think WW2) and now, since youre a little nervous about terrorists, you want to throw away what they fought so hard for. Your great grandparents are probably rolling over in their graves right now. The UK can re-introduce this after they've exited the EU. Must be great - living the book of 1984! Erm the former? I didn't vote for brexit either, but to call brexit undemocratic is slightly moronic. A free democratic vote was carried out and the leavers won? Yeah, a dictatorship that actually looks out for Human rights violations.. Fancy that..
Ummm... what part of this is democracy? The part where there was a referendum that gave everyone a vote. Just because it didn't go your way it doesn't mean it's not democracy. That is democracy. Long-time EU hater and now Brexit Minister David Davis was the main character in bringing this to court. How deliciously ironic that the institution he is trying so hard to dismantle has come to the aid of the UK and rapped our knuckles for overstepping the mark on privacy. He must be feeling like a right fecking hypocritical idiot now.